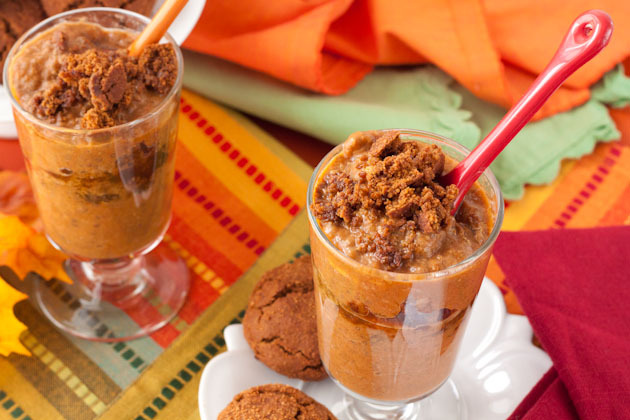 These pumpkin and gingerbread parfaits capture all the tastes of Fall! They’re filling, high in fiber, and low in refined sugars. 2 tablespoon raisins – they do the sweetening! 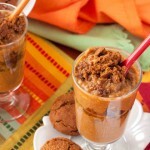 Combine all ingredients but crumbled cookies in a large tupperware container. Mix with a spoon until incorporated. When complete, portion out into 4 parfait style cups, or bowls and crumble 1 cookie over top each parfait. You can also put some of the crumbled cookie at the halfway point as I did.